Today’s students must learn to filter through the excess of information to find the facts, which is often easier said than done. Lay the foundation and the need for media literacy. Learn how social media algorithms impact what makes it to your news feed. Help students to understand bias and how they can approach the news to develop well-rounded perspectives. 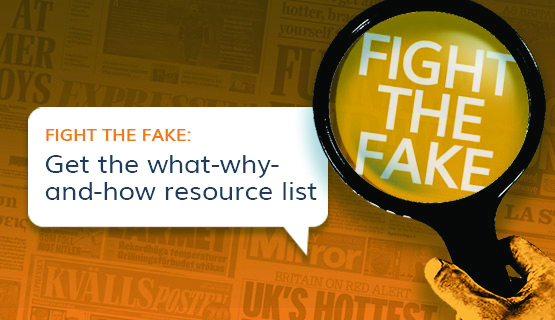 Save our resource hit list for teaching and learning about news literacy, along with our favorite fact-checking sites and tools. Fake news is a hot topic in the world of education, and for good reason. With constant bombardment from news sources and media messages, it’s difficult not to be overwhelmed. We live a world where students are inundated with more information than ever before. The average American teenager uses nearly nine hours of media a day, excluding school and homework. Yet a lot of that media may not be true. Today’s students must learn to filter through the excess of information to find the facts, which is often easier said than done. The term fake news refers to sources that are sharing distorted, fabricated, inaccurate, or misleading information. When evaluating news sources, students must learn to read with a critical eye and seek out other sources to verify and confirm facts. Newseum created this free poster to help students learn to E.S.C.A.P.E. Junk News. Students also need to understand how algorithms on social media sites and search engines create a filter bubble that influences the information they see. According to a 2018 study by MIT, a false tweet is 70 percent more likely to be retweeted than a true one and searching for verified information can take a lot of time. Most people—over 90 percent in fact—never click through to the second page of their search results, and an estimated 50 percent don’t look past the first three results. Although we are all easily susceptible to confirmation bias, it is important that students learn to approach news and information with the intention of developing a well-rounded perspective. A recent study by the Pew Research Center found that when asked to identify statements as factual or opinion, Americans tend to call a statement factual when they personally agree or think it is accurate. Check out the resources listed below to find lessons and resources to support the teaching of news literacy. 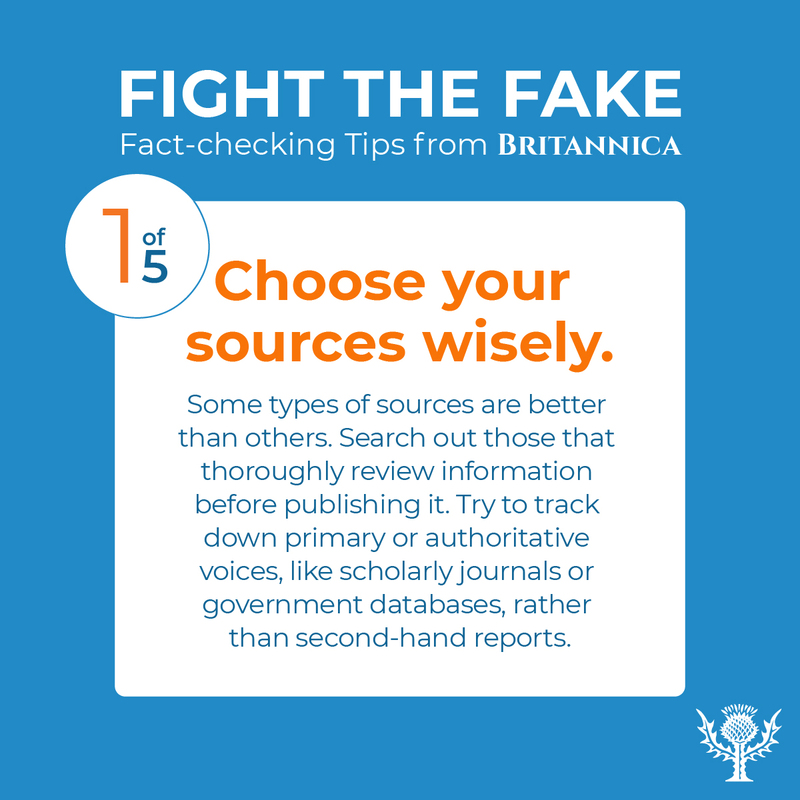 Equip any middle or high school student against the sway of fake news with this free media literacy webinar, Fight Fake News: Media Literacy for Students, hosted by Britannica Digital Learning. Britannica School Insights is a free Google Chrome extension for Britannica’s leading education reference database, Britannica School. Britannica School Insights helps educators and students support digital literacy skill development by surfacing trusted and verified information to the top of regular web search results, ensuring that students have a trusted companion to bring along on their search queries. Britannica School Insights works with most major search engines—Google, Bing, Yahoo!, etc.—via the Google Chrome browser.